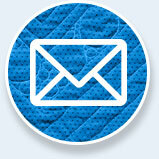 Time to ‘fess up – who has made a quilt with an ulterior motive in mind? 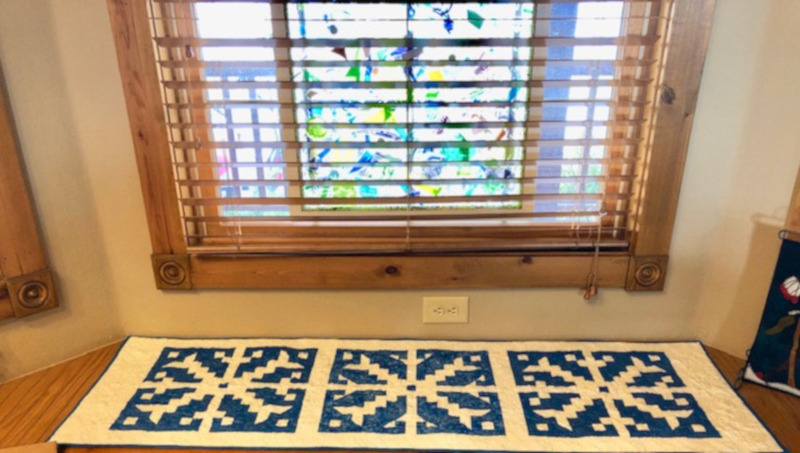 APQS Dealer Brenda Shreve of Red Barn Quilting confessed to different type of “quilt cover up” with her Snowflake Table Runner. Brenda’s bench boo-boo sparked her creativity; her clever cover up is a perfect way to bring a little winter snow sparkle into the house (without the messy boots). Her table runner pattern measures 19 inches by 59 inches – perfect for all sorts of dining tables. Since Brenda’s window seat is a little longer than that, she added an extra wide sash strip on each end to give her the length she needed. The pattern includes instructions on adjusting that to fit your own table. Brenda’s no stranger to adapting patterns and “making do.” Her love of quilting began more than 30 years ago. 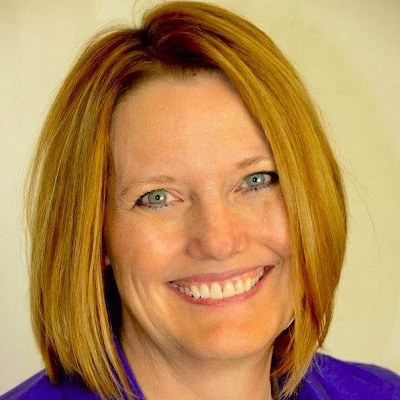 During that time, her life journey has taken her from the Washington D.C. area where she grew up, to a rambling ranch in Osage County, Oklahoma in 2004. Brenda’s Red Barn Quilting is nestled on the Lazy T Ranch, in the middle of green pastures and rolling countryside outside Barnsdall. 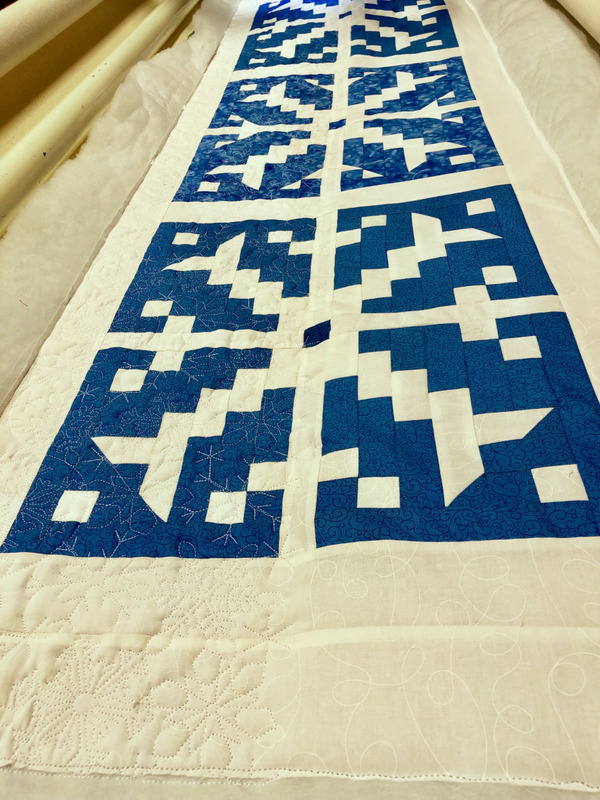 She started longarm quilting almost 20 years ago, starting her journey with an APQS Millennium right out of the gate. Since that time, she’s quilted more than 3,000 quilts for customers. Brenda was so impressed with her Millie that she became a representative for the company in 2007. 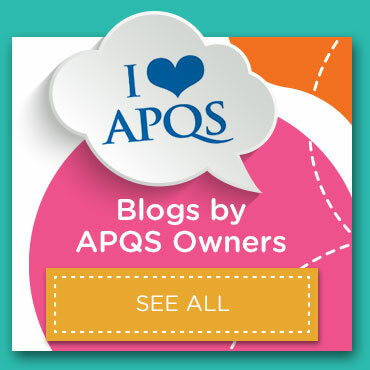 Several years later, she turned her quilt shop into an APQS showroom. Now, Red Barn Quilting (yes, it really IS in a big, red barn!) 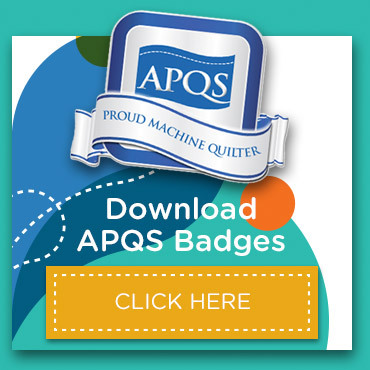 has four APQS longarm machines and three Quilt Path computerized quilting systems. 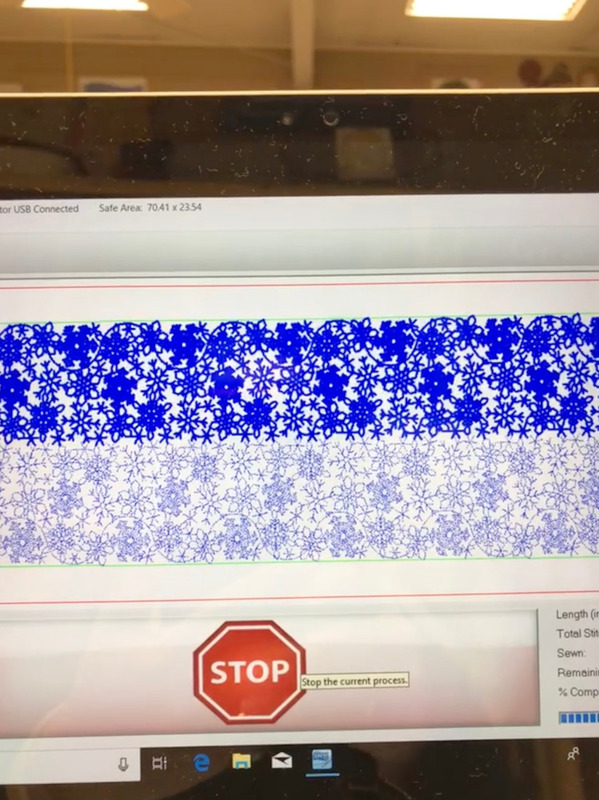 Computerized quilting has become hugely popular in the past 10 years; any quilter can look like an expert right from the start. Many quilters enjoy creating their own designs with hand-guided freehand quilting, some prefer to trace pantograph patterns, and others love the endless design possibilities a computer system offers. Computerized systems also shorten your learning curve and give you the chance to multi-task. You can piece while the computer quilts your project. Brenda loaded the quilt on to the frame so that it fit along the length of the table. She used the APQS Millie 30, so there was more than enough quilting space to complete the entire table runner without even rolling the fabric! 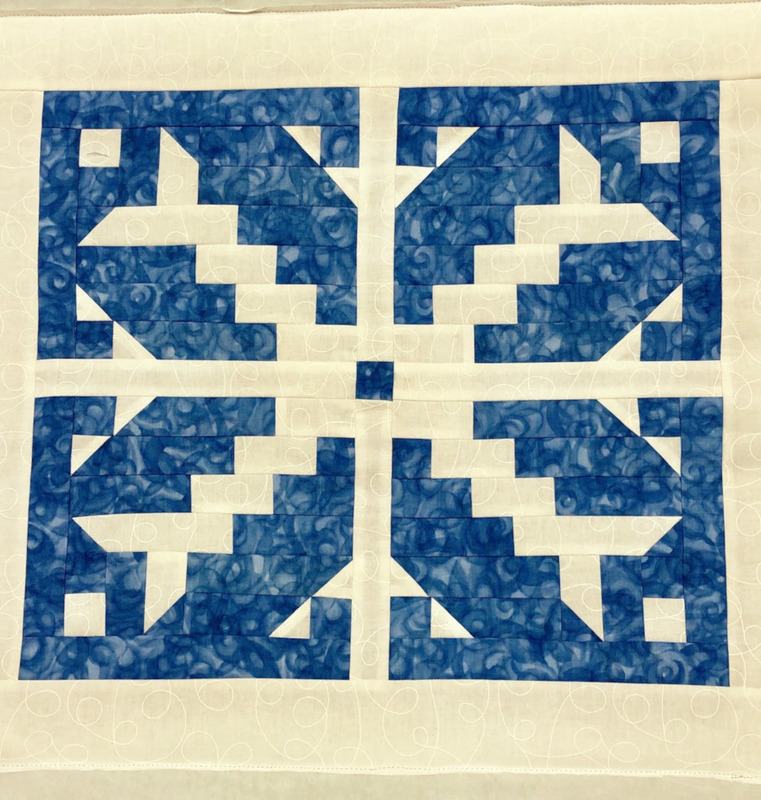 Brenda used a fun snowflake digitized pattern from Wasatch Quilting Designs across the entire table runner. 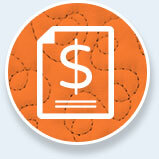 Though the design would be complicated to stitch freehand, the computer made things simple. After only programming two rows of quilting across the length of the runner, it was done. She used decorator fabric for backing, and thick polyester Pellon batting to give the table runner some loft and texture. It will cushion her seat in more ways than one. Even though Brenda often jokes that she’s just a little old quilter at the end of a dirt road, her shop is totally worth a trip to the country. 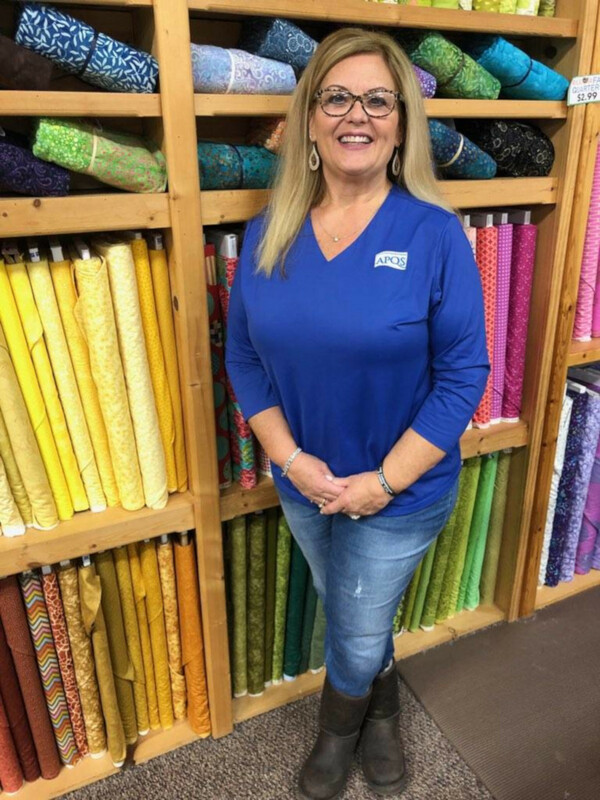 With more than 1,200 bolts of quilting fabric and over 200 wide backs, plus a wide variety of The Wooly Lady’s wool and Fil-Tec Glide thread, you’ll be glad you stopped by the Red Barn. Brenda’s daughter, Rebecca, now quilts most of the customer quilts that come in the door, which helps get quilts back to their owners in record time. It also frees up time for Brenda to teach and to show quilters why she’s been in love with APQS longarm machines for over two decades. 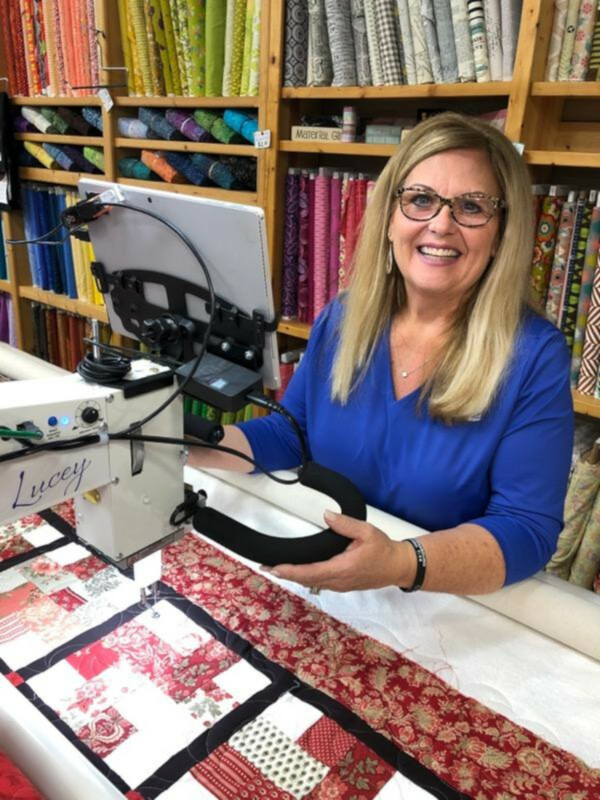 And she gets more time to focus on her own quilting passions, such as quilting on leather (yes, with an APQS machine, quilting on leather is a cinch). 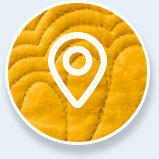 If you’re hankering for a trip to the country, put Brenda’s Red Barn Quilting on your map. She’s in northeast Oklahoma, north of Tulsa. Call ahead and make an appointment to stop by the shop, check out the wool, thread and fabric bolts, and even test-drive an APQS longarm. As an added bonus, the Pioneer Woman Mercantile is in Pawhuska, just 14 miles from Brenda’s Red Barn – the perfect way to spend a “play day” with your friends. Visit her website for more info. 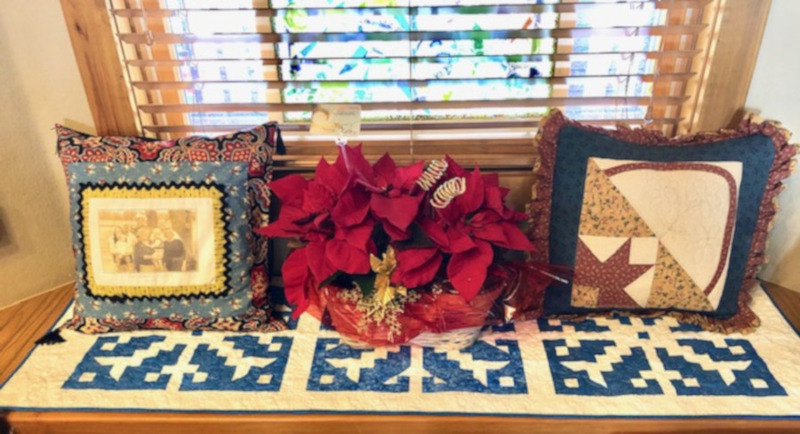 The touching story of the quilt pattern Connie is sharing with us today is about a quilting family member named Gene Stewart. Download the pattern for free at the end of the blog post. In this video tutorial, APQS Dealer and Educator Angela Huffman shows you how to do a filler called Orchid Blossom. This filler design is very romantic and sophisticated. You'll be amazed how easy it is! In this APQS Video Tutorial APQS Educator and Dealer Angela Huffman shares a filler design that is based on the tradition peacock or headband filler. It just has a double loop at the top - we call it the Peacock Eye filler. 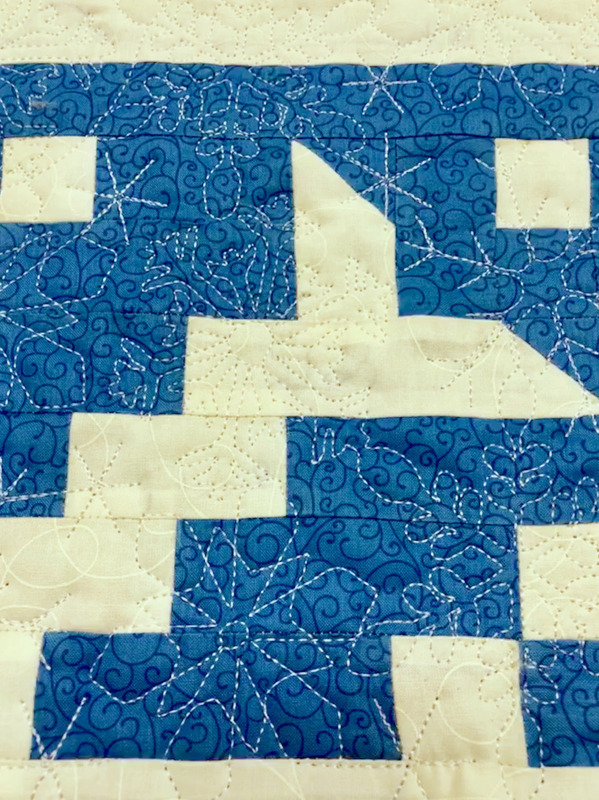 Turning a quilt is really very simple and fast to do IF you know the secret ingredient – bendable pins that recover their shape after winding around the rollers.